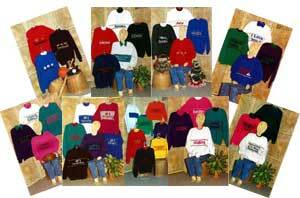 Designs for use on sweatshirts or knit the designs into your favorite sweater pattern. No need to cut your sweatshirt to use these great patterned strips. Big and Little Brother, Big and Little Sister, Middle One, I'm 1,2,3 designs are included. 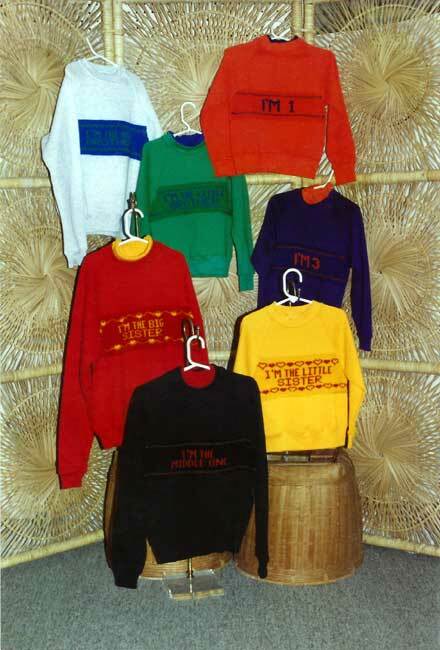 Directions for knitting a ribbed neckband insert, the sweatshirt strips, and how to add them to any raglan or drop shoulder sweatshirt are included.